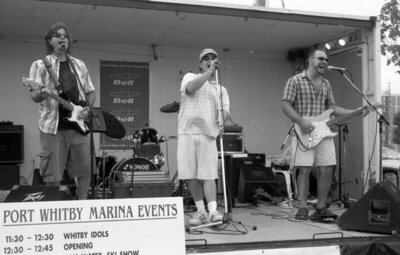 A black and white photograph of the band 3 Sheets to the Wind playing on the Marina stage at Whitby Harbour Day. Whitby Harbour Day, July 28th, 2007, Carl Ferencz. Whitby Archives A2013_035_003A.